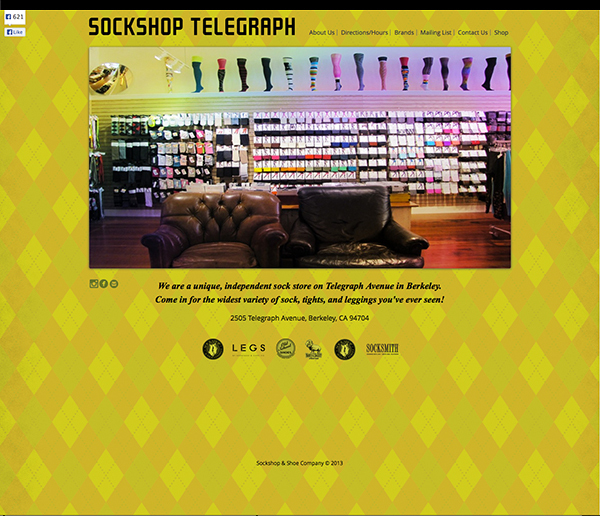 Sockshop Telegraph Website located on Telegraph in Berkeley, California. 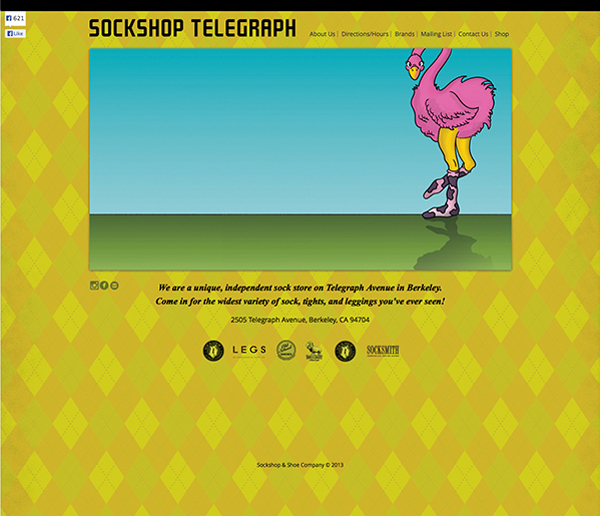 A all sock store is full of fun colorful tights, leggings and other fun items. It is simply laid out and easy to shop in. 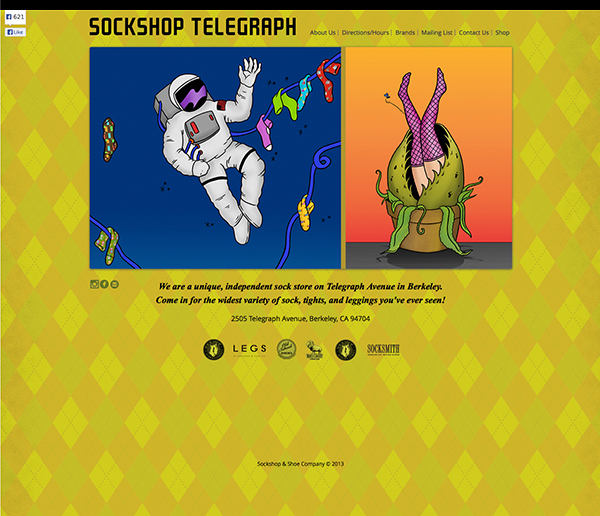 A unique, independent sock store. Photography by Jay Watson.